3.1 What’s New in v3.9.2? 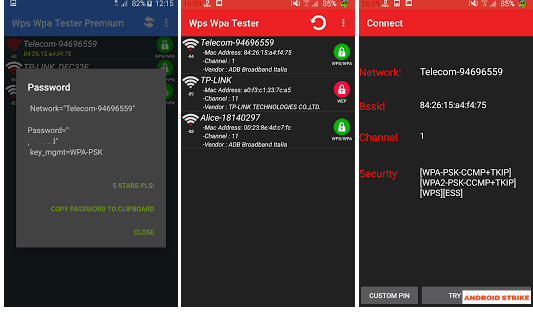 3.2 How to Download and Install Wps Wpa Tester Premium v3.9.2? Wps Wpa Tester Works based on the black-Hat Method of hacking known as Penetration or Brute Force. When the app is turned ON, It scans all the Wi-Fi Networks and Shows whether the Network is WPS or Wpa. The app sends the Ping to the Wi-Fi Router with the PIN to test the Access Point. Thus, The router’s WPS Push Button will start working The app can quickly take out the password and connects to the Wi-Fi. As we already know, This app is the only best rated Android hacking tool which is used to hack various Wi-Fi Passwords within seconds. This app only supports Android version of 4.0+ (KitKat). In the Earlier versions. Wps Wpa Tester app only supported for Rooted Smartphones. After a few years, the app has got very high impressions and ratings. Most of the Android users are asking the developers to release the version which also supports Non-Rooted Android Phones. Yes, Now the Wpa Wps Tester is also Supported for Non-Rooted Phones which is only for Android Lollipop, Marshmallow, and Nougat Users. 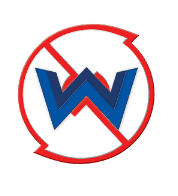 Wps Wpa Tester Free version contains Ads, and Premium Features are not available. So, The app can’t be able to hack more Wi-Fi Networks. Note: – This app will not show the Hacked/saved Password on the Non-Rooted device. If you want to see the password, You must have rooted Android Phone. Because Android device gives all the permission to the user and we can able to customize our Android of our own on the rooted phone. How to Download and Install Wps Wpa Tester Premium v3.9.2? Enable Unknown sources to give Permission to the phone to install external Apk files. Select the Apk v3.9.2 and click on Install and wait for few seconds. What error you’re facing while installing it on your Android device? Can’t we hack without root? Can I know your Android version?